After 18 years Ford brings the Explorer back to Germany. Across the pond comes the five-meter SUV but only as a plug-in hybrid. The reason is clear: without electric drive, the Explorer would not meet the strict exhaust emissions. Ford Explorer? That’s it ever. Anyone who thinks they should remember the SUV in this country is right – and has probably celebrated at least his 35th birthday. Because: The Explorer disappeared in Germany in 2001 from the scene. Now, however, the big SUV is about to make a comeback. In January, the sixth generation celebrated its world premiere as part of the Detroit Auto Show, and in the fourth quarter of this year, it is also starting with us. Unlike in America, the Explorer in Europe, however, only as a plug-in hybrid (PHEV). On the one hand, the 5.05-meter-long Hochbeiner underscores Ford’s electrification strategy, and on the other hand, it is unlikely that he will have a chance to live up to the stringent emissions regulations. The Explorer is relatively economical on paper: 3.4 liters are the manufacturer for 100 kilometers, which corresponds to a CO2 emissions of 78 grams per kilometer. Anyone familiar with PHEV values ​​knows that they should be treated with caution. The dream consumption can only be experienced for a maximum of the first one hundred kilometers, and only if the battery is full to the start. And even then the consumption is relatively high. For comparison: The new Kuga is to push as a plug-in model in the standard test just 1.2 liters. 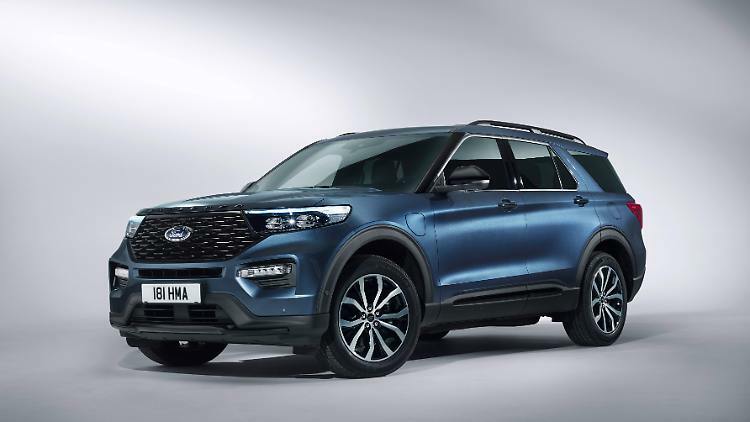 Of course, the Kuga is much lighter than the almost 2.5-ton Explorer, and unlike its smaller brother comes here a large three-liter V6 is used, which alone develops 350 hp. Together with the 74 kW electric motor, the Ford manages to achieve a system output of 450 hp and 840 Newton meters of torque; the power is managed by a ten-speed automatic, on the road it passes through all four wheels. The battery with 13.1 kilowatt hours is slightly smaller than in the Kuga, the power should be good enough for just 40 kilometers electrical range – that’s pretty little for a completely new developed PHEV vehicle. For a larger power storage spoke on the one hand certainly the space problem, because the seven -seater Explorer is anyway not a space saver despite its lush dimensions inside. 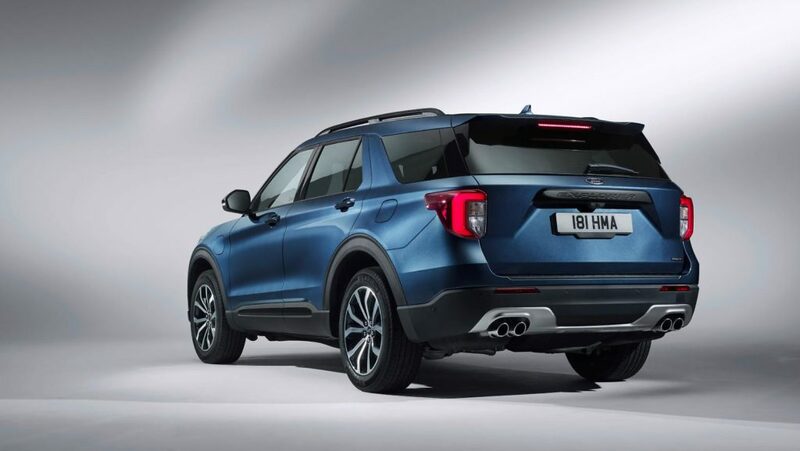 Although Ford proliferates with a lush storage space of a maximum of 2274 liters, on the squares in row two, however, it is quite close to and the two emergency seats at the very back are in the Explorer no serious seating. On the other hand, it is of course a price issue: Already, the Ford will cost around 74,000 euros, a significantly larger battery would have driven the base price quickly in the 90s. 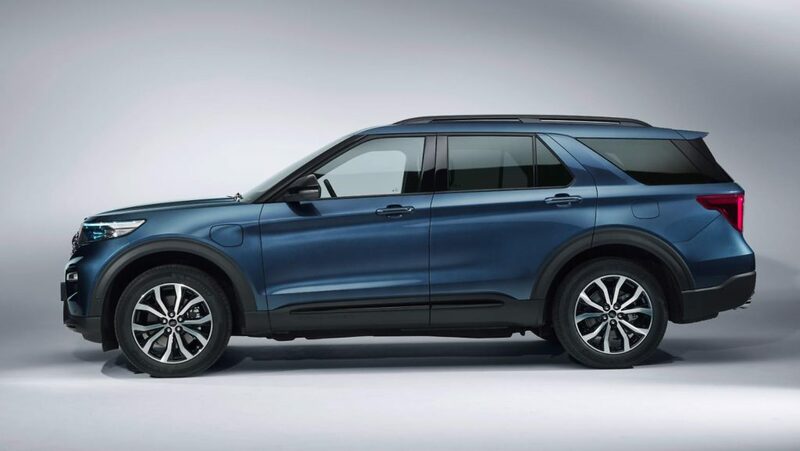 Then the built in the US SUV would actually compete with premium models such as Audi Q7, Mercedes GLS or the Range Rover, which the Explorer, however, can not hold the water. Although you will not be disappointed not least because of the enormous breadth of 2.28 meters of beefy appearance in the typical Ami look, separating the chaff from the wheat at the latest in the interior. Wi the Kuga and the Explorer is knocked out with a lot of hard plastic and the cockpit already looks a bit dusty. 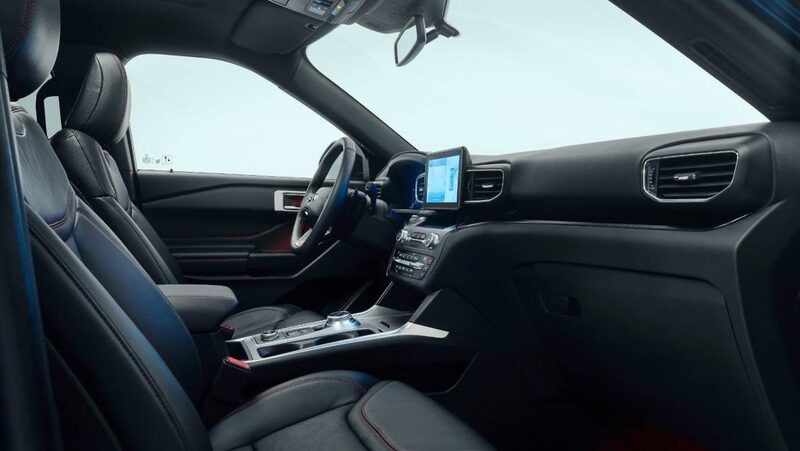 Although there is a huge, digital high-tech instrument cluster, but who resorts to the more sporty ST-Line must take with an eight-inch mouse cinema Infotainment Vorlieb. The slightly more contemporary 10.1-inch touch screen is reserved for the Platinum version; more equipment variants are not available in Germany. In all Explorer models is – in addition to large 20-inch wheels – a comprehensive safety equipment series. Among other things, there is always a parking assistant, the emergency brake function (also when reversing), the distance cruise control with stop-and-go function, speed limit detection and lane keepers and an evasion assistant, which should make spontaneous lane changes safer with targeted steering assistance. How many and which extras are still available for election, is not yet known. Usually, however, the selection of import vehicles is significantly limited, after all, customers should not wait too long for their vehicles. Thanks to preconfigured and ordered Explorer expects Ford in Germany with delivery times of just under three months.